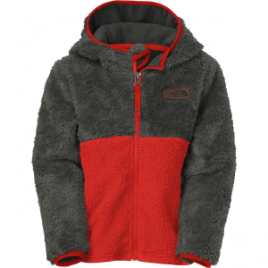 The North Face Toddler Boys’ Sherparazo Fleece Hooded Jacket delivers plush comfort and fuzzy warmth to your little one through colder days. The fleece construction and encompassing hood will keep him happy on brisk fall days. 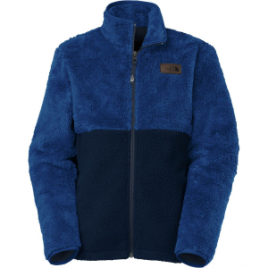 Zip him into The North Face Boys’ Sherparazo Fleece Jacket and keep him close, because this fleece feels gooooooood. He’ll wear it around summer campfires, and basically every day in the cold seasons.